TEM146: Solving the right problem plus some thought on Gary Varynerchuk's latest book, Crushing It! Making sure we are attempting to solve the right problem plus thoughts on Gary Vaynerchuk's new book. We are hiring an intern! Visit pedalnotemedia.com/intern to become a part of the Pedal Note Media family. Application deadline is August 1st so apply today! Are you looking for a coach to take your career to the next level? Visit andrewhitz.com/consulting to join the many musicians who have used TEM Consulting to make more money and have a greater impact in the music business. 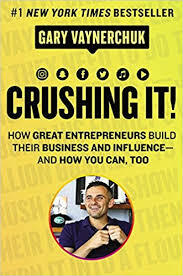 Some of my thoughts on Gary Vaynerchuk's fantastic new book, Crushing It! tags Gary Vaynerchuk, Crushing It!